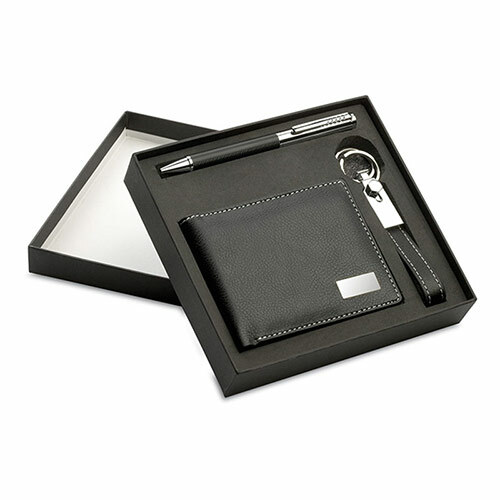 An elegant business gifts set in presentation box comprising a ballpoint pen, PU leather wallet and key fob in metal and PU leather. The wallet and key fob both have attractive contrast stitching. Engraving - Please note, this product can only be engraved on the small metal plate (bottom right of wallet cover). The maximum characters for your engraving is six (ie. suitable for initials).